Visit Wirksworth Derbyshire and the surrounding villages and stay in bed breakfast, hotel or holiday cottage accommodation provided by BedPosts members. Wirksworth in Derbyshire is a small town of stone houses and narrow streets, famous for its annual Whitsun well-dressing ceremony. It was once a lead-mining centre, dating from Roman times. In Moot Hall, built in 1814, is a 16th century bronze dish, used as a standard measurement of the lead produced by the miners. In St Mary's 13th century church is the lid of an Anglo-Saxon coffin, believed to be 9th century work. There is also a wealth of early Christian carving. George Eliot set much of her novel Adam Bede in and around the town. Stay in an historic building and explore the Derbyshire Peak District from here. 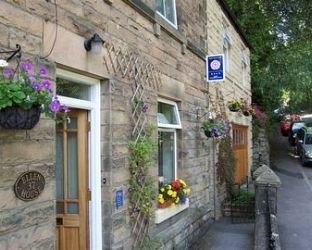 If you seek accommodation near Wirksworth in Derbyshire you have come to the website of a “club” of providers who offer affordable quality accommodation around UK in hotels, bed and breakfasts, guesthouses, inns, and restaurants plus self-catering cottages and apartments .